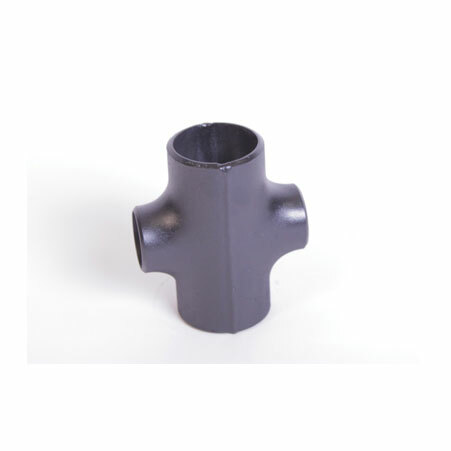 ﻿ Cross Tee, Pipe Fitting Equal Cross Tee Exporter. 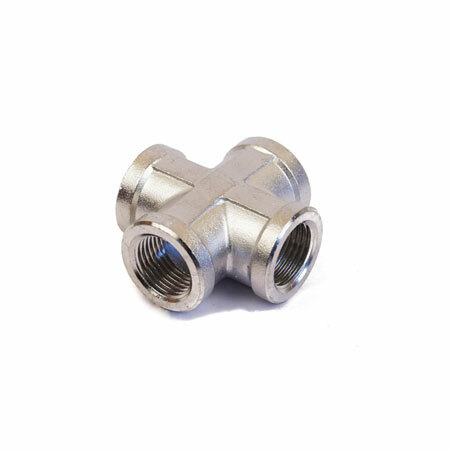 ANSI B16.28 Stainless Steel Cross Tee Manufacturer, SS Cross Tee, Carbon Steel Equal Cross Tee, Alloy Steel Unequal Cross Tee Supplier In Worldwide. Amco metal in the market is having a good reputation because of supplying the wide array of the cross tee as per buyers demand. In the manufacturing industry Equal and Unequal cross tee is produced by using good quality of raw materials addition to effective use of high-end technology and modern equipment. A reliable dealer being customer focused is putting all efforts in helping clients in fulfilling all application demands. During the entire production process of the cross tee, stage-wise through inspection is welcomed to check production quality. This makes a buyer to receive a high quality of product that results in fulfilling all application want easily. The best thing is item supplied to the buyer is at market leading rates. SS Cross Tee that are customarily used in fire sprinkler systems. Place order now and satisfy all demands of yours. 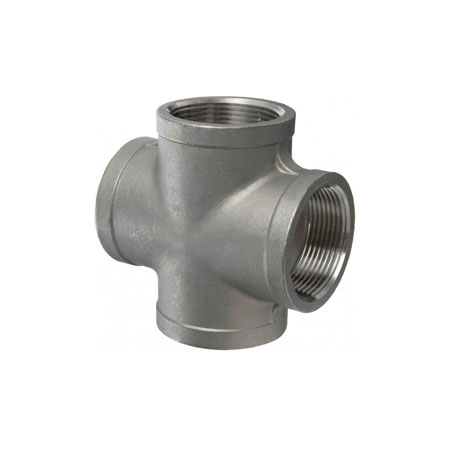 ASME / ANSI - B 16.9 Equal Cross Tee Manufacturer, Hastelloy Cross Tee Exporter, Inconel Cross Tee, High Nickel Cross Tee, Monel Cross Tee Supplier In India. Ireland, Switzerland, Netherlands, South Korea, Taiwan, Vietnam, Israel, United Arab Emirates, New Zealand, Namibia, Canada, Austria, Germany, Argentina, Hungary, Costa Rica, Kuwait, Czech Republic, Libya, Poland, Romania, Mongolia, United States, Finland, Bhutan, France, Greece, Nepal, Ghana, Sweden, Mexico, Morocco, Tibet, Australia, Pakistan, Algeria, Philippines, Puerto Rico, Singapore, Italy, Russia, Gambia, India, South Africa, Colombia, Chile, Sri Lanka, Nigeria, Japan, Indonesia, Kenya, Hong Kong, Lithuania, Gabon, Turkey, Kazakhstan, Norway, Bangladesh, Peru, Brazil, Belgium, Iran, Iraq, Jordan, Oman, China, Poland, Bulgaria, Bolivia, Afghanistan, Thailand, Ecuador, Croatia, Bahrain, Serbia, United Kingdom, Venezuela, Malaysia, Portugal, Azerbaijan, Estonia, Zimbabwe, Chile, Yemen, Ukraine, Lebanon, Mexico, Belarus, Saudi Arabia, Nigeria, Macau, Trinidad & Tobago,Tunisia, Denmark, Iran, Angola, Egypt, Slovakia, Qatar, Spain. Muscat, Mumbai, Hong Kong, Jakarta, Port-of-Spain, Secunderabad, Jamshedpur, Ulsan, Ludhiana, Noida, Coimbatore, Granada, Geoje-si, Vadodara, London, Visakhapatnam, Bhopal, Nashik, New Delhi, Kuala Lumpur, Gurgaon, Montreal, Pune, Tehran, Chiyoda, Doha, Hanoi, Mexico City, Indore, Brisbane, Karachi, Melbourne, Thane, Thiruvananthapuram, Manama, Sharjah, Seoul, Chennai, Lahore, Aberdeen, Caracas, Howrah, Dallas, Colombo, Courbevoie, Petaling Jaya, Algiers, Bengaluru, Abu Dhabi, Los Angeles, Jeddah, Vung Tau, Busan, Navi Mumbai, Cairo, Al Khobar, Kolkata, Atyrau, Rio de Janeiro, Toronto, Ranchi, Moscow, Bangkok, New York, Al Jubail, Hyderabad, Jaipur, Istanbul, Rajkot, Pimpri-Chinchwad, Ernakulam, Edmonton, Riyadh, Haryana, Dubai, Ankara, Bogota, Kuwait City, Ahmedabad, Houston, Dammam, Gimhae-si, Baroda, Surat, Lagos, La Victoria, Perth, Santiago, Singapore, Kanpur, Chandigarh, Faridabad, Ahvaz, Ho Chi Minh City, Nagpur, Calgary, Sydney, Madrid, Milan.